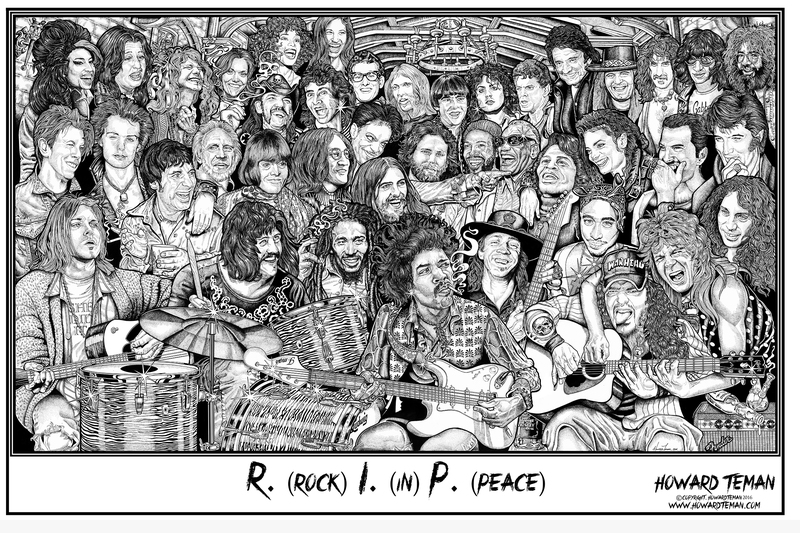 RIP print by Howard Teman. Black and white print on 100lb glossy paper. The original creation process was drawn with a rapidograph pen in the traditional stippling style.